Epoch is free real-time visualization library which is very easy to use and provides excellent default templates because it uses d3.js. 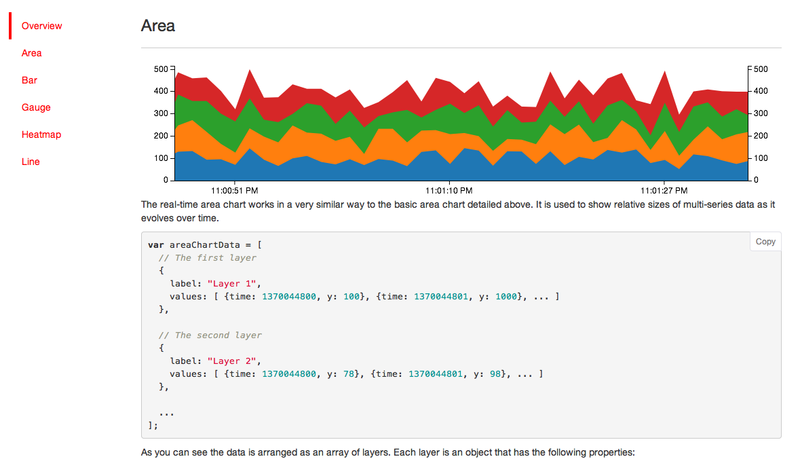 Epoch is build for the developers, by default it is quite easy to extend and adapt charts to own need. One need only bower to be installed for development. This Article Has Been Shared 2902 Times! Cite this article as: Abhishek Ghosh, "Epoch For Cloud Based Data Visualization," in The Customize Windows, July 24, 2014, April 26, 2019, https://thecustomizewindows.com/2014/07/epoch-cloud-based-data-visualization/.